Here is the plan for the July project. I will be posting pics of the finished project soon. 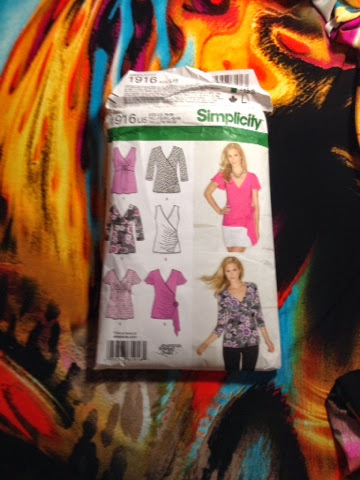 Simplicity 1916-- making view F with modifications, in an ITY knit I found at Hancock Fabrics. This will be a cute top. This is going to be very eye-catching.